Ulster Unionist assembly member Steve Aiken has said politicians in Dublin have "racked up tensions" over Brexit. He said comments by Taoiseach (Irish Prime Minister) Leo Varadkar and Tánaiste (Irish Deputy Prime Minister) Simon Coveney over the UK leaving the EU had been "unhelpful ". 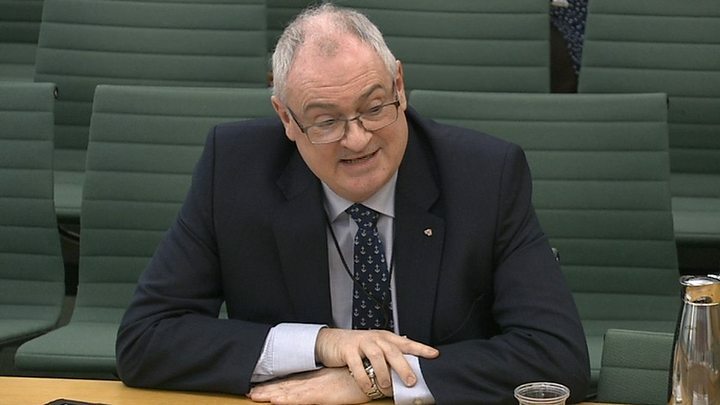 Mr Aiken was giving evidence to the Northern Ireland Affairs Committee at Westminster. It is examining the issue of the Irish border and the backstop. Mr Aiken, an assembly member for South Antrim, said his party has had discussions with Mr Varadkar and Mr Coveney and claimed that "on many occasions they have racked up tensions that did not deserve to be there". The backstop is the insurance policy to avoid a hard Irish border after Brexit in the event of a wider trade deal not being reached. Earlier, Alliance deputy leader Stephen Farry told the committee he thought the Northern Ireland land border could prove "next to impossible to manage" after Brexit. Challenged by DUP MP Gregory Campbell to accept that warnings about a "hard border" are nonsensical given "the 285 crossing points", Mr Farry said he thought the UK's zero tariff plan in the event of a no-deal Brexit could only be temporary given the likelihood of a challenge from the World Trade Organization. Meanwhile, Downing Street has said Theresa May will not be asking the EU for a long delay when she formally requests that Brexit is postponed, . It added that the prime minister shared the public's frustration at Parliament's "failure to take a decision". Earlier this month, Mr Varadkar urged the UK government to make clear the purpose of an extension "and how long it would last". Image caption Mr Aiken said comments by Leo Varadkar and Simon Coveney over the UK leaving the EU had been "unhelpful"
Last month, Mr Varadkar warned the Republic of Ireland was "not playing chicken" with its stance on the Brexit backstop.